The poor village of Nswazi in Umzingwane district will spring to life today as a cavalcade of motor vehicles heads to Irisvale where the African Apostolic Church will hold a Holy Communion. The gathering which begins tomorrow will last until Sunday. In an insert to the press by Reverend Wilson Rutsate, the miracle performing Paul Mwazha of Africa will lead the congregation. Mwazha is the leader of the massively followed church. 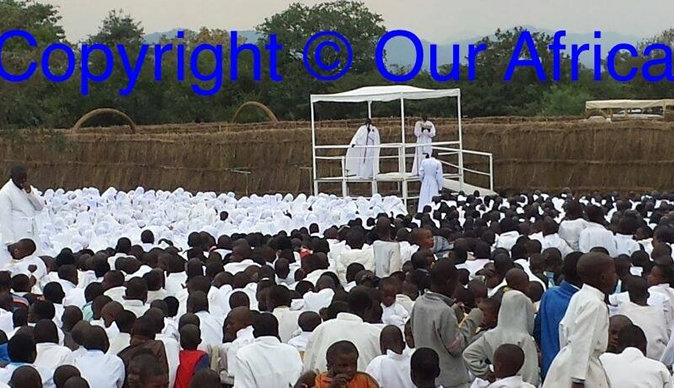 "This comes in the wake of a previous similar gathering at Mt Guvambwa in Chikomba district where 9 374 people received Holy Communion and 360 people were converted to the African Apostolic Church," says Rev. Rutsate.